Makeup - Fringe / A Salon Inc. Whether you need to be picture perfect for your dream wedding, class reunion or family photo shoot, we offer a makeup service that will have you looking fantastic for the entirety of your event. Our talented makeup artists provide applications that utilize a personalized palette that is sure to compliment your facial bone structure, enhance your features and will leave you feeling fabulous. If you’re looking to recreate gorgeous makeup looks at home, we also provide lessons to teach you tips, tricks and the skills used by our team. 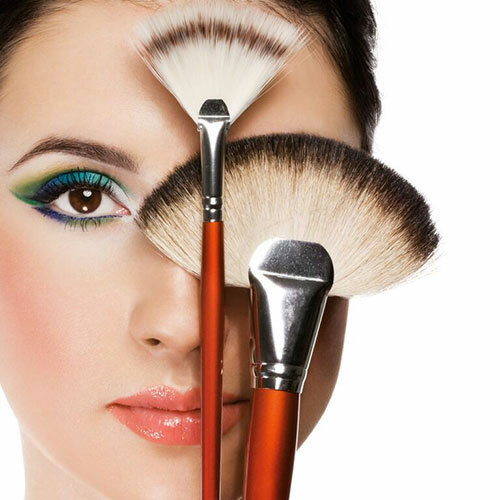 Our professional makeup artists know that mastering these techniques will allow to look your best for all of Chicago to admire.